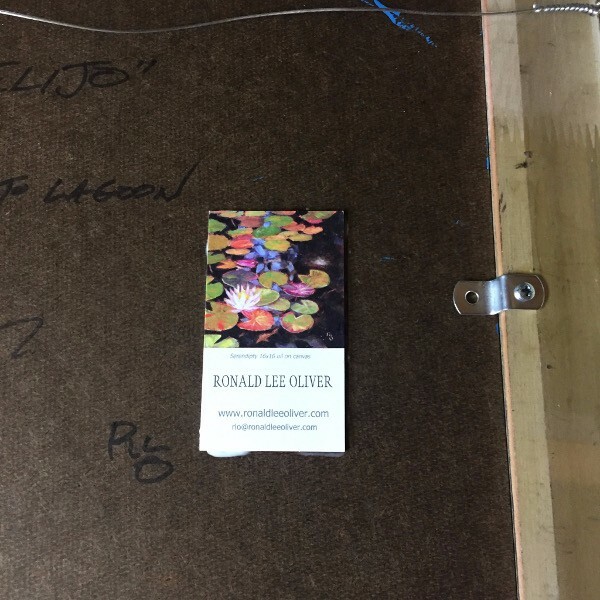 Ronald Lee Oliver. 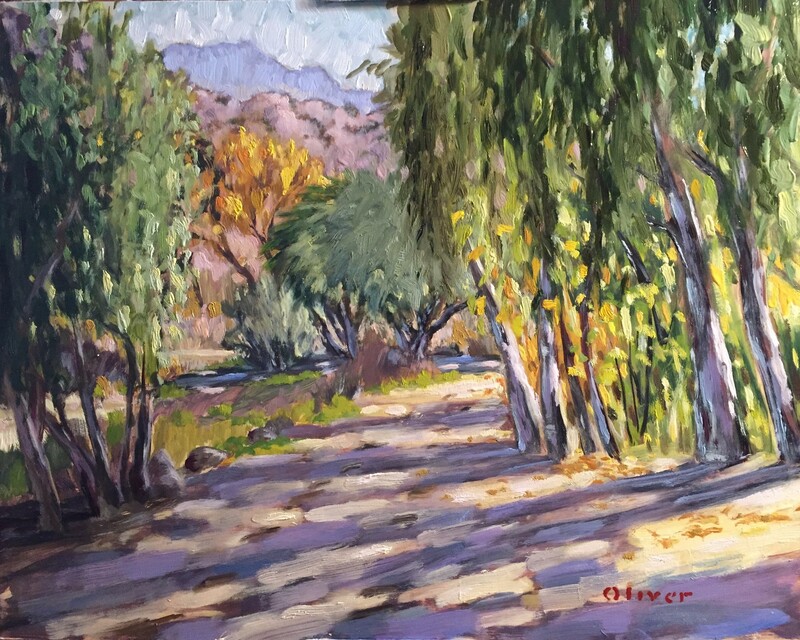 I am a San Diego born, lifelong self-taught artist plein air and studio painter who tries to capture the vivid essence of subjects that interest me. I don't limit myself to a genre or "style" but prefer to work on an eclectic mix of subjects. 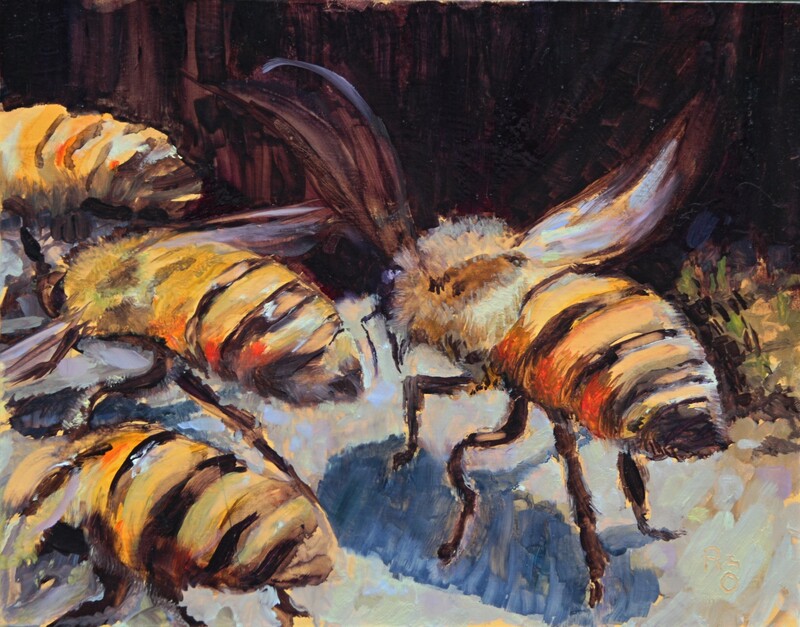 Each is rendered in oil paint with varying degrees of realism or impressionism with selective vision. My paintings are done both plein air with a portable artists pochade style easel or in the studio. I consider the framing of the finished art very important to my vision of the completed work and therefore I offer much of my art pre-framed as envisioned and intended by the artist. 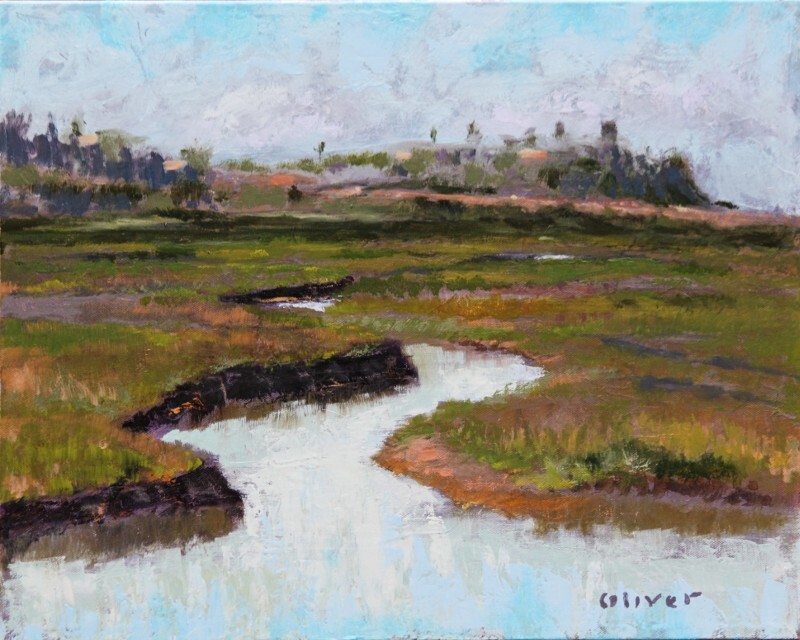 Four of my San Diego plein air paintings are showing at the Solana Beach Library in Encinitas. The art will be on site June 11th through August 3rd, 2016. There is a reception open to all on Saturday, July 16th at 2:00 to 4:00pm. 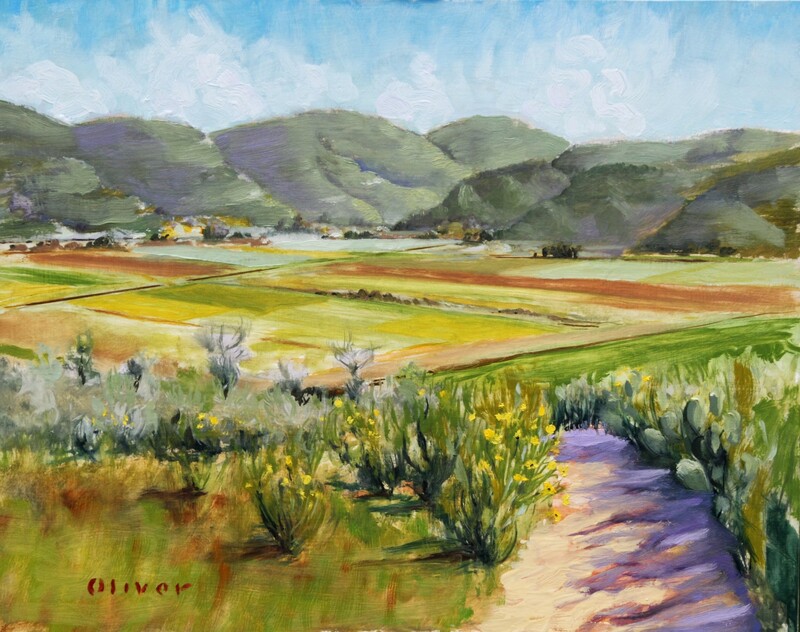 All four paintings are plein air works, in 16×20 inch landscape format. Each is identically framed in solid wood with dark, espresso color, red distressed undertones and a gold liner. They look very elegant in these frames! Click on an image in the slideshow below to learn more about that painting and to see larger images. 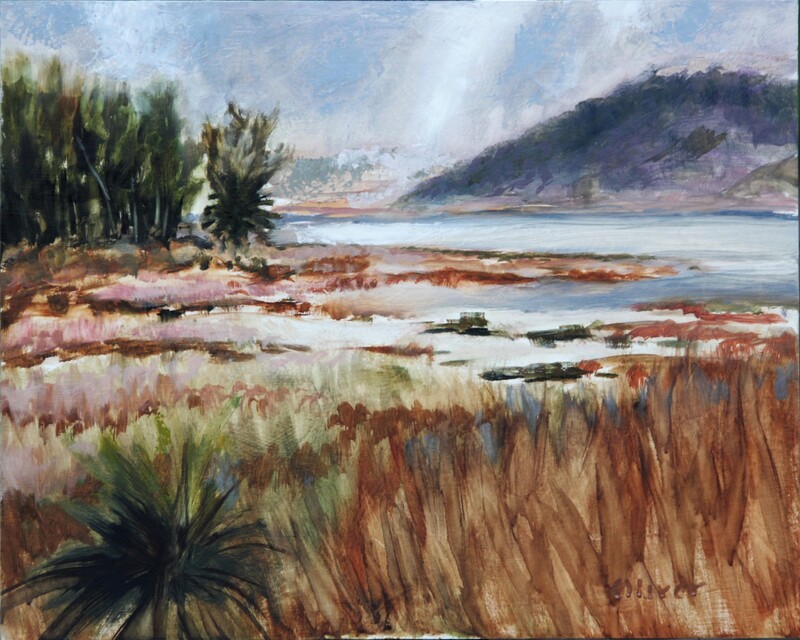 Plein air painters have many different surfaces to choose from on which to create their art. There is duck canvas, linen, canvas panels, linen panels, birch board and many other choices for the outdoor artist. I’ve tried many of these and have come to my own conclusion and method that works best for my process. That’s why I like to use gessoed and oil primed hardboard panels for painting plein air. Some of the benefits of using panels instead of canvas is, they’re portable–you can carry many in a panel holder when travelling–they won’t tear or dent, and they never have the issue of sunlight coming through the back like you can get when you use canvas outdoors. 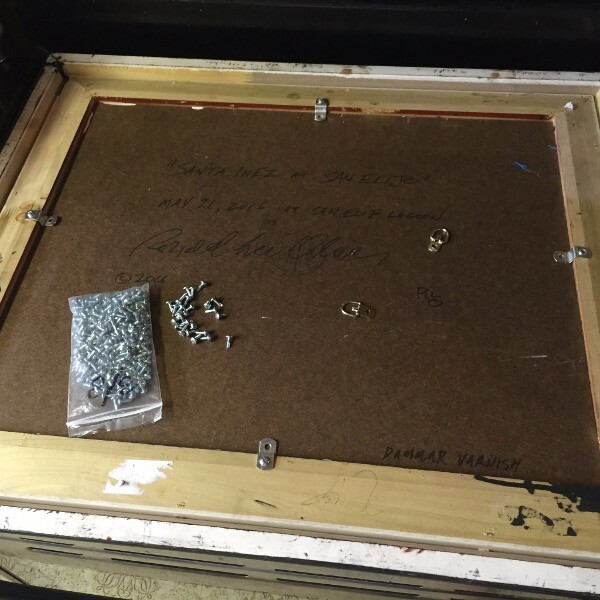 The working artist has to wear many hats, one of which is the “Framers Hat.” The following framing tips show how I treat my paintings to ensure they look professionally done and will serve my clients and galleries well. 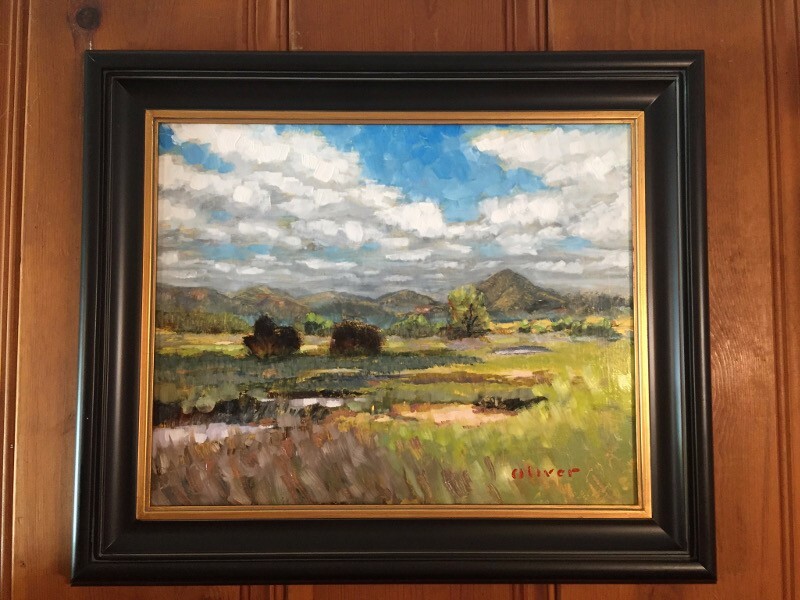 If you plan to sell paintings yourself through an online presence without the intermediary of a gallery or other representation, to keep costs down you should know some things about framing. If you do work with galleries, they will appreciate that your works arrive ready to hang with a professional look, both front and back. A typical 16×20 panel in a quality, wooden frame. 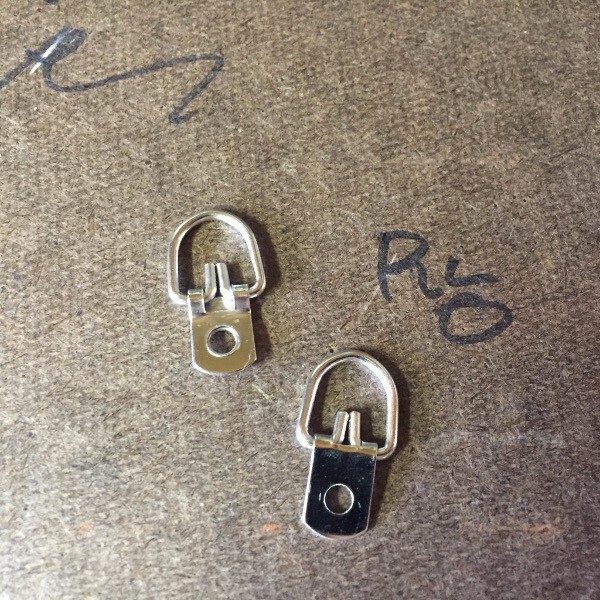 I use stainless steel hardware that will never rust. You don’t want your reputation tarnished by rusty parts a few years down the road. Usually I paint en plein air on hardboard panels as seen in the photo. Panels are portable, easy to mount and will not tear like a canvas could. 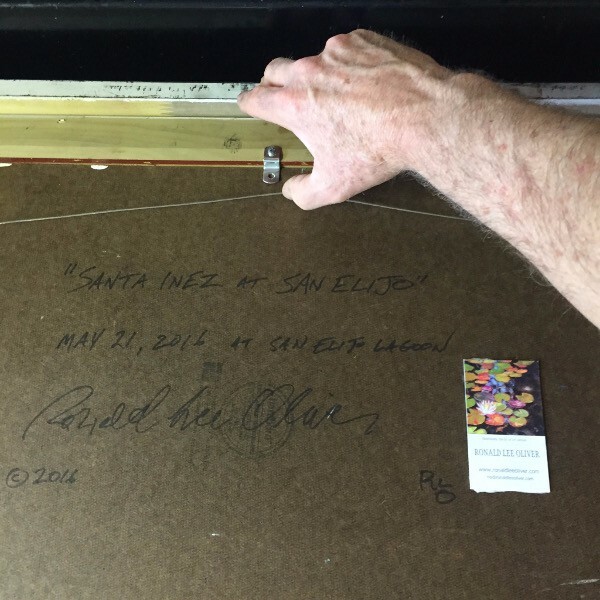 It’s also easy to sign, date and add any other info to the back of the painting with a permanent “Sharpie” type marker. The Date and Place I Painted the Painting. A Copyright Symbol and Year. What I Used to Conserve the Painting. 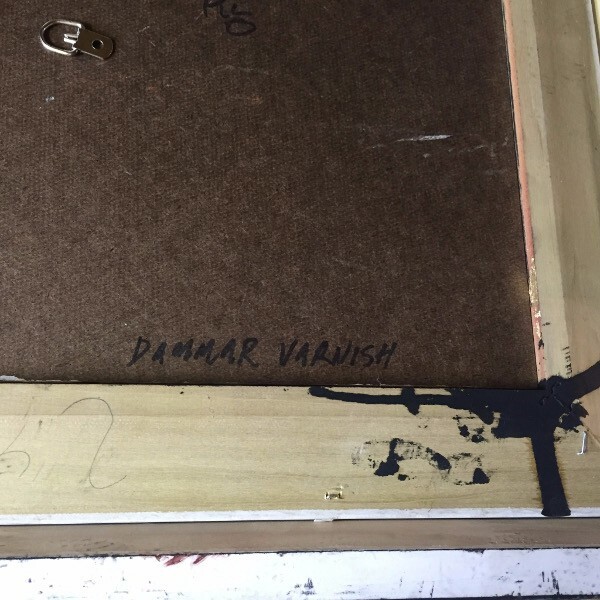 In this case I used Dammar Varnish, so I’ve written that down in the lower right on the back of the panel. This will help future owners and conservators when it comes time to clean and re-seal the painting. They will know what solvents and cleaners are necessary to do their work and will appreciate that I’ve helped them out with this message. 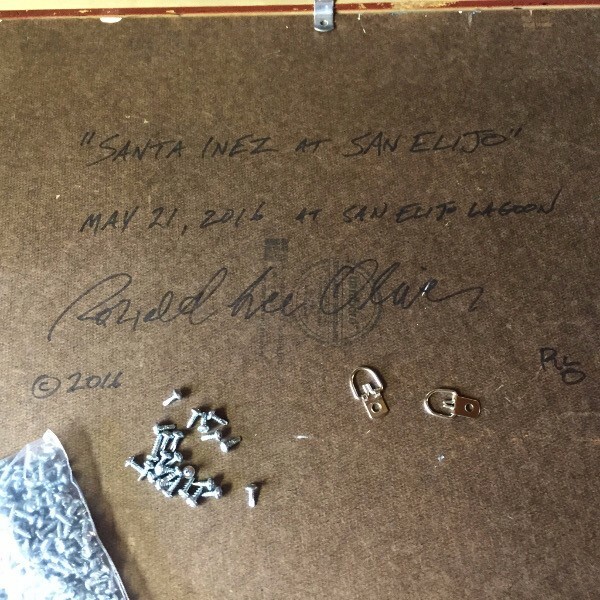 You can see the screws I use are stainless steel, self tapping #6×3/8″. 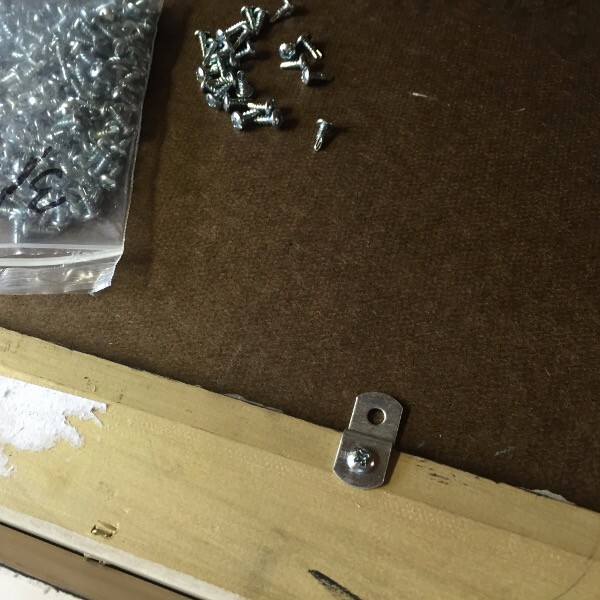 I prefer using these short screws because some frames have very thin face material and longer screws can actually penetrate through the front and ruin a costly frame. That’s not good! The 3/8 length is strong enough to hold most any painting up to about 18×24 inches. Beyond that, you may want to ensure your frames are more substantial and can take the longer screws without any issues. I don’t think the 3/8″ screws are adequate to hold larger, heavier frames. You can also see the “offset clip” I’ve used to hold the panel tightly in the frame opening. These clips come in different offset depths and it’s good to have an assortment because frames have differing rabbet depths and sometimes you may use a thicker panel or canvas so it’s good to be prepared. I like the single-eye, D-Ring style, stainless steel hangers. These too are strong enough to hold small to medium-sized paintings but if you frame larger works, it would be good to get the heavy-duty hangers with two screw holes, so you can be assured they will hold the extra weight. 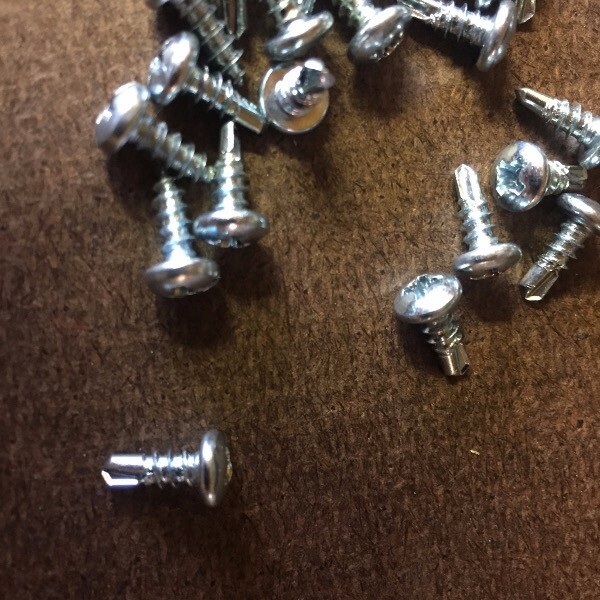 You can see the tips of the self-tapping screws in this photo. No need to pre-drill pilot holes when using these–saves lots of time. Just put the screw on the magnetic tip of your drill driver and place it where you want, then pull the trigger…in it goes! 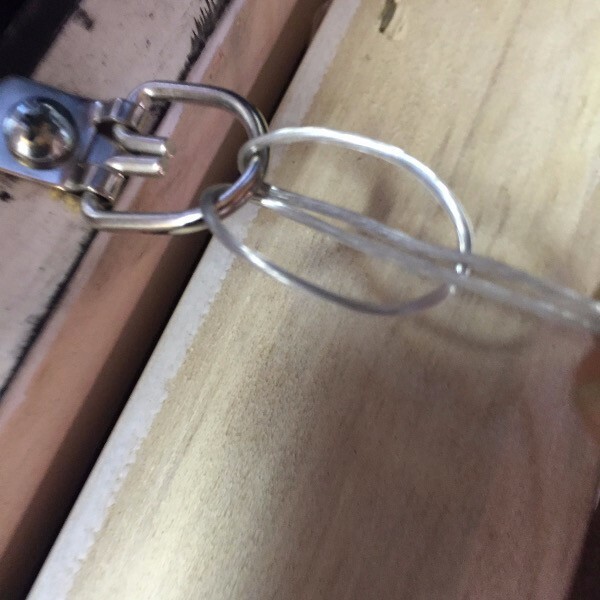 I use a slip-knot loop to attach the wire to the D-Rings at both ends. 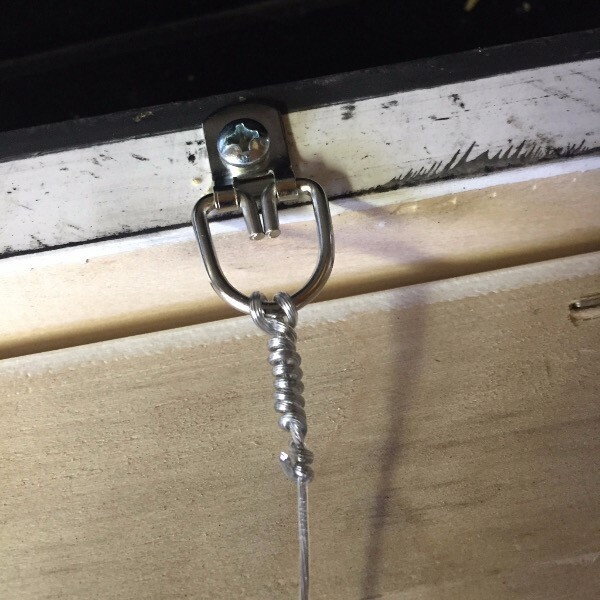 Leave about 4 or 5 inches of extra wire at each end in addition to the length needed to span the width from the D-Rings at each side. then cinch it down tight and cut off the excess, leaving a nice presentation with no fly-away ends. The D-Rings should be placed as near to the edge of the frame as possible without showing. This ensures that the painting hangs close to the wall. I also like to add a business card with my web URL on it glued to the back. I use simple white glue for this because it will hold up well and dries clear. The finished wire should be good and taught without much slack. 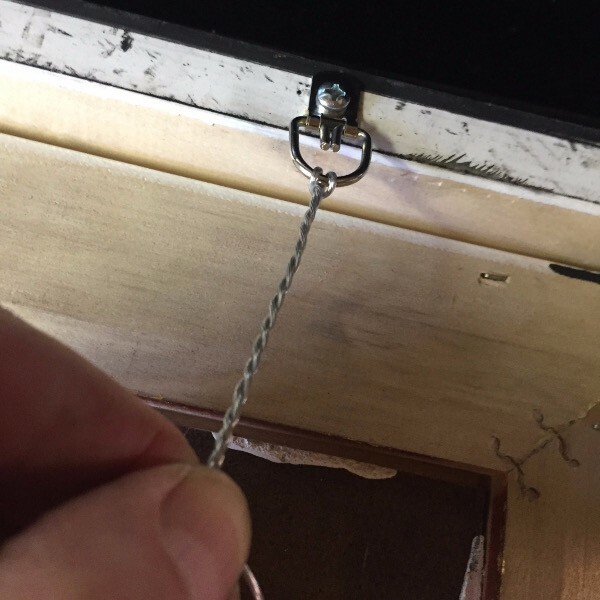 Here you can see that with the D-Rings about 6 inches from the top of the frame, the wire flexes up when hanging by less than two inches, leaving about 4 inches of room for the hanger to be hidden from the top of the painting. This also makes sure that the top of the frame does not drift away from the wall. That’s it! It’s not too difficult to Do It Yourself and make sure your art will hang correctly and with a professional appearance. Your clients and galleries will appreciate your art all the much more when it’s framed and ready to hang with professional, quality materials and techniques. The act of plein air painting is an acquired taste. Little do they know that painting in the open air has its own specific challenges that make it much different from attacking a canvas in the relative comfort and the steady, even lighting of their studio. 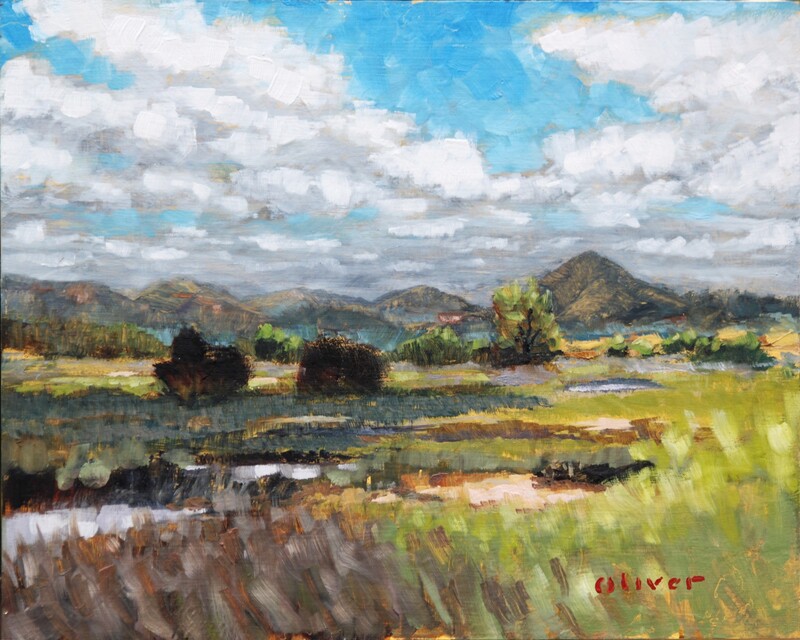 Still, plein air painting can be very rewarding for the creative soul and is well worth the effort to develop some proficiency in it as an art. 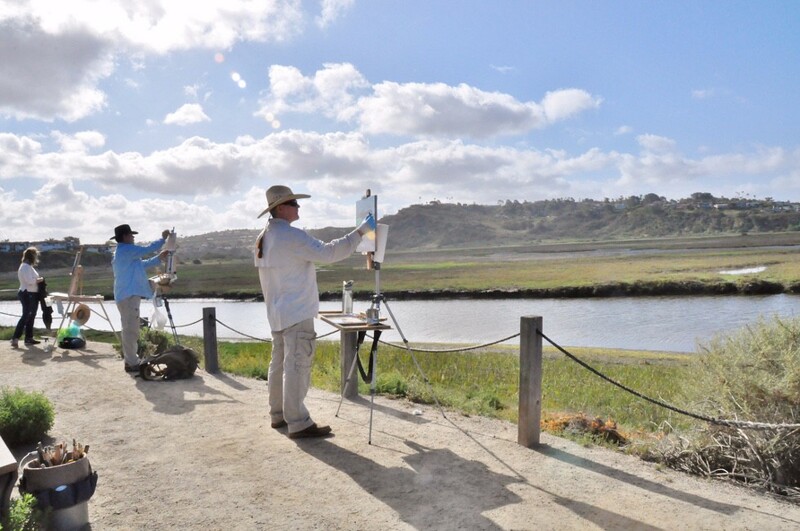 Following are five “tips” for the beginning plein air painting admirer that just may help them become a plein air aficionado. It is far easier to manage a small canvas and a small kit when a beginner, rather than diving in to tackle large canvasses or elaborate outdoor easels. 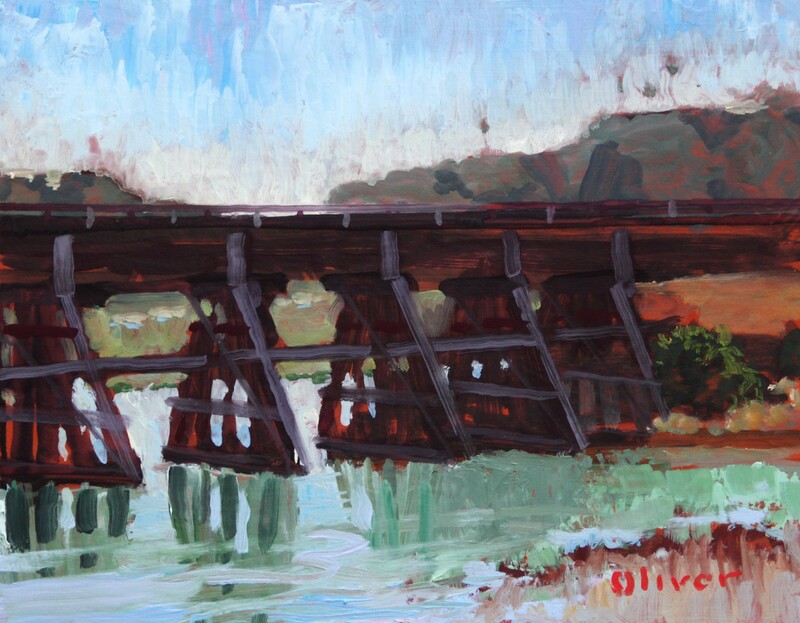 When beginning, you are testing the waters and it makes sense to keep it simple to find if plein air is the right avenue for you. Expensive kits and brushes are not necessary to start. An inexpensive half box french easel and 6×8 in. canvas panels or hard boards and a cheap set of hog bristle, long-handled brushes are a good beginning. 2.) Use artist grade paints. Student grade paints will cause more frustration than learning as a beginner. They have difficult consistency and do not mix or thin well as artist grade paints do. There are some very good quality artist grade oil paints, such as Gamblin and Rembrandt that are reasonably priced. 3.) Use a limited palette. A split-primary palette is a good palette for the plein air painter (even for the seasoned veteran). 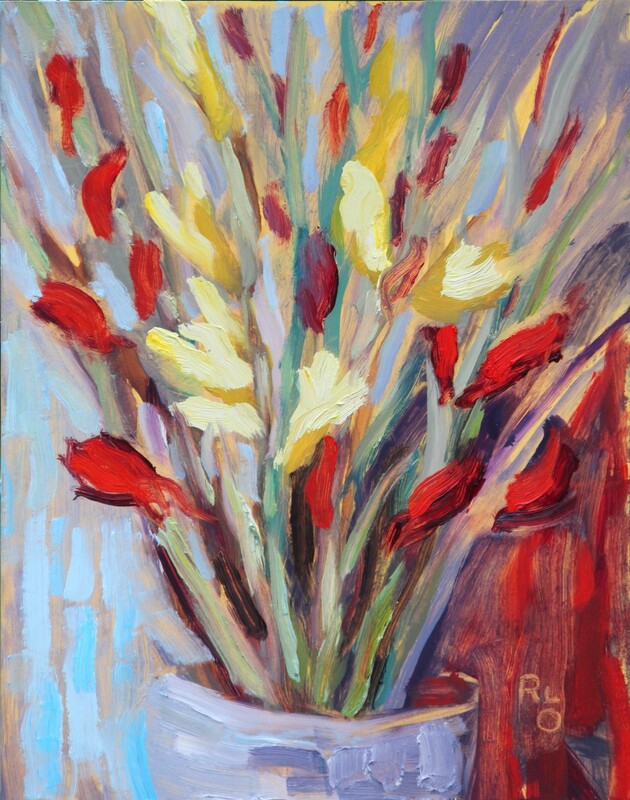 A split primary consists of a both a warm and cool, single pigment choice for the three primary colors–Red, Yellow and Blue. Add a black, yellow ochre, and transparent red oxide and you have a very good start with only 9 colors and of course titanium white. Later on, you may wish to expand your palette with some specialty or convenience colors. Learn what the symbols and numbers mean on the paint tubes. There is much to learn about pigment properties such as transparency, light fastness, and mixing qualities. 4.) Composition is half the battle. A poorly composed painting, no matter how adroitly painted, will read as a failure. Read up or web search for terms such as “rule of thirds,” “the golden section,” “avoiding tangents,” “focal points,” “lost and hard edges” among others. It’s always good to have a “center of interest” in your composition but that certainly doesn’t mean it should be plopped dead center in your canvas, which is generally the wrong thing to do. Avoid placing elements along the side of the frame or bisected by the outer perimeter of your composition. And finally, remember…rules are meant to be broken but break them consciously and for good reason, rather than by accident. As a beginner, you have the opportunity to forego the hazards and hassles of working with oils and solvents with your paints. There are some excellent water mixable oil paints that will allow you to make professional quality paintings that cannot be distinguished from those made with the traditional oil and solvent media. Cobra and Holbein are two brands with good reviews for water mixable. They also offer water mixable mediums and impasto gels. As a beginner it may make sense to commit to learning and working from the beginning, with the water mixable products, rather than delve into the world of mineral spirits and turpentine. I and two other artists will be doing live demonstrations of plein air painting techniques–free to the public. 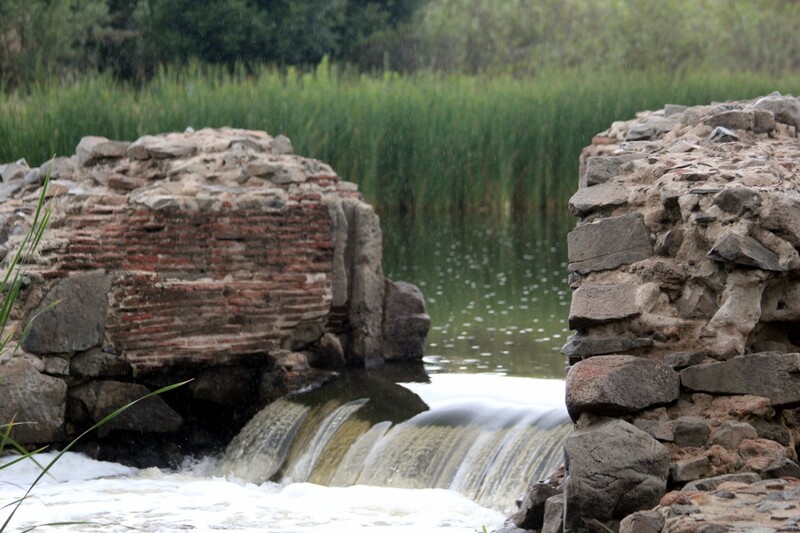 The demos will take place at the annual San Diego River Foundation “River Days,” celebration this Saturday, May 14th in the Mission Gorge Regional Park at Old Padre Dam. The demos happen 8:00am to 11:00am. Here are some “clickable” photos I took on a showery May morning to urge you to come out and see the beautiful setting of the park and learn a bit about how to create scenic art in the open air.